Movie posters reflect the specific genres of the movie that you are about to watch. Maybe you’re in the mood for a sappy love story, or maybe an insane tale about friends getting to know each other better. How can we tell the difference between friend movies and relationship movies? Sean Hall’s concept of Center and Margin gives us an easy way to analyze movie posters and see which relationship the movie is going to be about. According to Hall, the center of an image is the central focus, where the viewer’s eyes are drawn first, and that the rest of the image is centered around. The center is the idealized object in the picture. But something idealized also means that something is not idealized. These objects are marginalized, less in focus and less significant than the central object. Every object that is centered creates something that is marginalized. On movie posters, it is mostly easy to see that the main character is the center focus of the film. 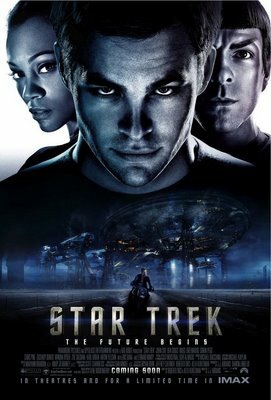 On the Star Trek movie posters, Captain Kirk, played by Chris Pine, is the center and idealized in a couple of ways. He is in front of his companions Dr. Spock and Uhura, literally closer to the viewer. He is at the very top of the poster, symbolizing idealization. He’s also pictured more than once: there’s a tiny second him Kirk the bottom of the poster in the middle of an action sequence. Kirk is the main character. Spock and Uhura, important and recognizable enough to make it onto the poster, are secondary characters, revolving around Kirk’s storyline. Action movies, horror movies, love stories. These movies all clearly show who is the most important and who is marginalized. They show who the movie is going to follow around and who the viewer is supposed to identify with. Movies about friends, where the whole point of the movie is building on friendship, are another story. Movies that are based solely on friendships tend to not have a clear distinction between the center and the margin. Not that there isn’t a center to the movie poster, but the distinction between which character we should be paying attention to isn’t clear. 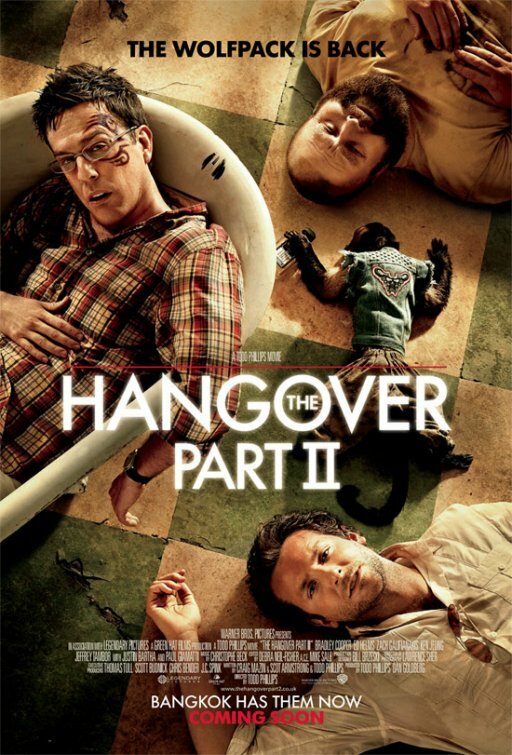 If you look at the Hangover Part 2 movie poster, for example, your eyes aren’t necessarily drawn to any of the characters in particular. All of the characters have this idea of “centrality” about them. Alan is at the top of the page, where Kirk was idealized before. Stu, on the left, is almost the most central, and is certainly closer to the viewer because he is higher up off the ground, in the bathtub. Phil is making direct eye contact with the viewer, the only one that openly faces the front of the poster. Even if Alan is face up, his eyes are closed, and Stu’s body position is slightly turned away. Remember that the key ideas for a central image are its location on the page and its orientation to other objects. The point of view of the poster is from the top-looking down. The characters are literally subjected to begin with, aligned with your lowered standards because the viewer is in the position of authority. Plus they’re laying on the floor. But they are all together in this position. All three of them are marginalized from the point of view of the viewer, but none of them is a central figure on the poster itself. The viewer can then conclude that the movie is going to be about the friendship of the three men, each of them equally as important as the next, rather than following the story from the point of view of one man. Their friendship is the central image – in this case, the center of the triangle that their sprawled bodies create. Other friendship movies have the same characteristics: a lack of a center and margin, or where all of the characters are central images, or all of them are marginalized images. Of course, there are always exceptions that result from clever advertising. But this is one way that the viewer can see what the central focus of the movie is going to be.